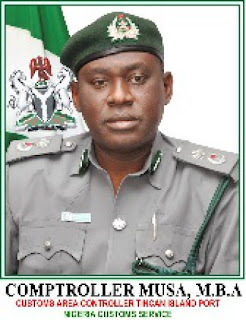 The Nigeria Customs Service (NCS) on Friday announced the seizure of 13 containers of tramadol at the Tin-Can Island Port barely 24 hours after it made seizures of 40 containers of tramadol at the Apapa Port. The Deputy Comptroller General of the Service, Mr. Austin Chidi who briefed newsmen on the seizures said the consignment came in 11 containers of 40ft and two of 20ft containers. Apart from tramadol, items found in some of the containers include pharmaceutical products such as ciprofloxacin capsoles, diclofenac sodium tablets. Other items found in the containers which duty paid value (DPV) was put at N3.1billion include bleaching soaps and bales of used clothing. Chidi told newsmen that one of the containers of tramadol had earlier been handed over to the National Drug Law Enforcement Agency (NDLEA) and another two containers were handed over to National Agency for Food and Drug Administration Control (NAFDAC) November last year. The DCG added that a container of soap suspected to contain harmful bleaching ingredients and two others of second hand clothing were seized in line with the provisions of Customs and Excise Management Act (CEMA). All the seizures, according to him, were in violation of the absolute prohibition list of CET 2015 – 2019. He said that the Service will not renege on its mandate irrespective of its circumstances. Chidi commended the stakeholders and security agencies at the Command which made the seizures possible. The Command recorded the sum of N303.5 billion between January to October as against N253 billion generated in the corresponding period last year. The DCG commended the Area Controller of the Command, Mr. MBA Musa and other officers for their sense of commitment to duty which made it possible for the revenue generated and seizures. 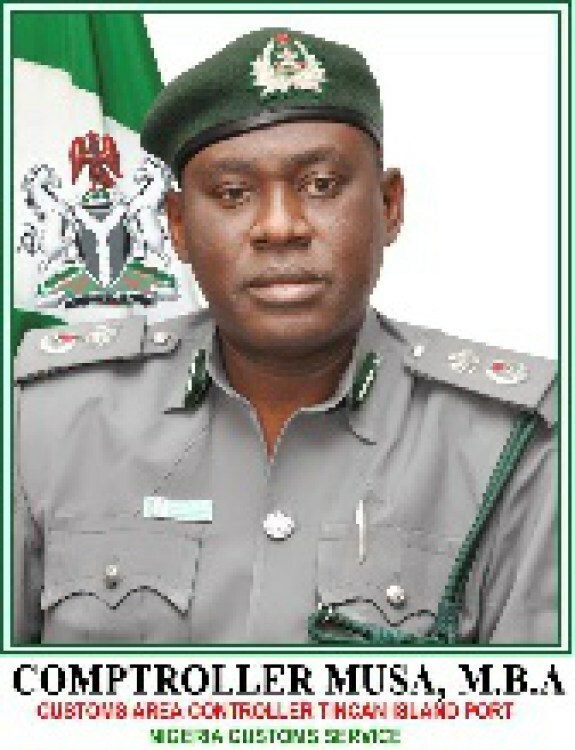 He expressed optimism that the effective leadership of the Controller will lead the Command to surpassing its revenue target for the year. Chidi added, “generally speaking and worthy of mention is the various trade facilitation platforms put in place in the Command in compliance with the presidential directive on Ease of Doing Business. These among others include the One Stop treatment area where all alerts are resolved under one roof.